Yea so yesterday slipped away from me and FAST! 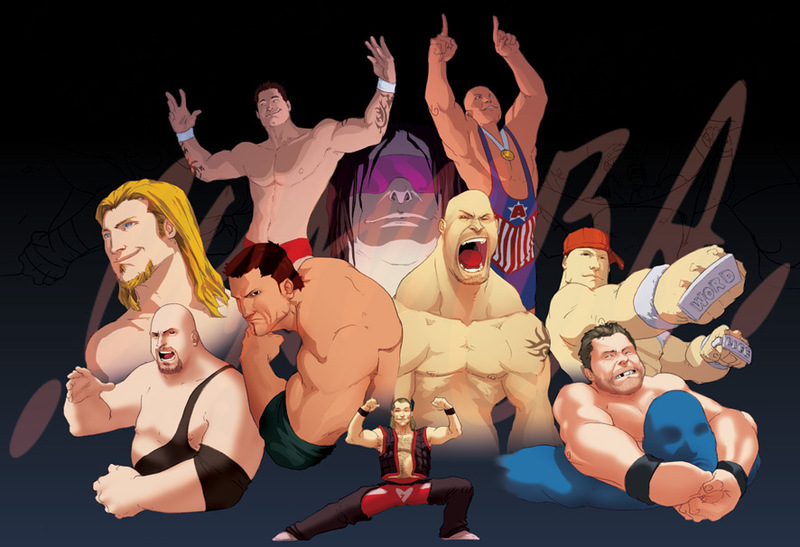 But I promised a gallery of some of the best art based on pro-wrestling and here I deliver! If you wish to know the name of the artist or where to find more of their work, please just leave a comment here and I will respond as quickly as I can. PS: When gathering material, I reached almost 80 pieces worth being highlighted. So for this gallery you’ll be getting 40 with the rest coming another day. You’ll just have to keep checking back.